i am 27 years of age and was born in Los Angeles and have been here since 05-04-1989. as of now I am a N.A.S.M personal trainer also a visual artist. i love helping people find out what truly motivates and inspires them from the core. playing tetris and running up hills and eating extra healthy... that's my jam!!! I'm very excited to share my brain and everything it creates.. and the training knowledge i stuffed into it! be bold.. and mighty forces will come to you're aid! 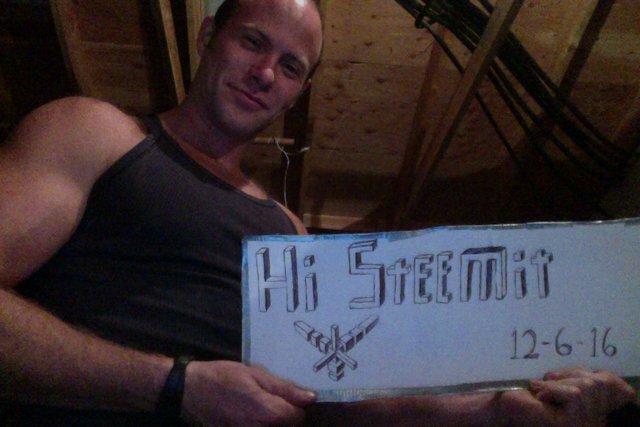 Welcome to Steemit @cordjackman Los Angeles is cool btw. Up voted and re-steemed. I came here because of your resteem, nice work! Thanks @papa-pepper Can't wait to link up with you in person when the Next (1st?) SteemFest U.S.A. happens, here is to hoping we can both make it. Thanks for keeping this place super interesting my friend. STEEMFEST USA? - Your place or mine? @papa-pepper New York would be awesome (because I went there last year for the 1st time and it was Awesome) or Miami (never been and seems beautiful) or Maybe Denver (Since Colorado is beautiful, in the middle and would be new to me). But I think Las Vegas would be great too, then you could swing over to LA with the kiddos and visit Disneyland, Hollywood and the Pacific Ocean (before we start needing geiger counters to go in). Central may be nice and best... I like travelling anywhere. Been a while since i hit the West Coast, got to see that ocean again and show the kids! Welcome! More of these brain stimulations pls. Hi! It great to have you! Welcome man awesome to have you on the platform! !